Follow the linear trail back of the sound of Girls Guns and Glory’s fifth album GOOD LUCK and your path will wind from modern day American roots rock, through post punk new wave, call at an outlaw honky tonk and end up at its straight down the middle-rock n’ roll source. Throughout its entirety, the album never loses sight of that long lasting country trait of mixing storytelling lyrics with a deep rooted melodic sound. This four piece combo from Boston, Massachusetts can be mightily proud of a record that sparkles with clarity and maximises frenetic guitar with clever melodies. 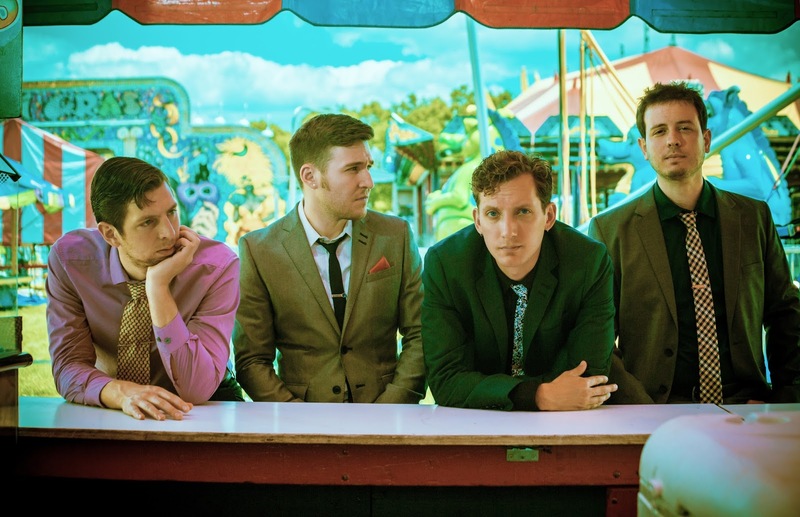 Led by vocalist, guitarist and prime songwriter Ward Hayden, Girls Guns and Glory pay their guitar dues on a record democratic in its name origin and just as eclectic in the moods it succeeds in conveying. Awash with potential stand out numbers, the song with the most profound poignancy is the spine tingling ‘Centralia PA’, a reflection on a town bled to death by the detrimental side of coal mining. The superb verse construction of this song helps preserve the memory of the place even in its inhabitable state. Like many of the songs on GOOD LUCK, Hayden has had a hand in its writing. In fact the only band non-original is ‘Rockin’ Chair Money’, a song recorded by Hank Williams which the guys take up the guitar scale leading the tune almost into crashing territory. Perhaps the band wishes their funding followed the same path as that of the song. 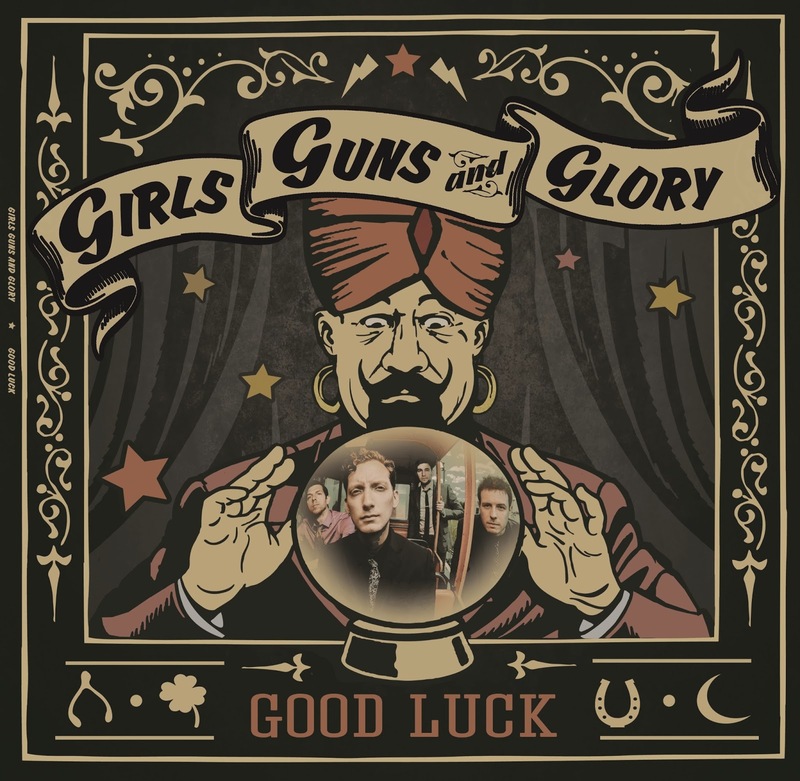 Lead off track ‘All the Way to Heaven’ is the perfect album opener and while it would be a pity if this was your only stop, it is a great feel good tune to promote the wares of Girls Guns and Glory. The tune most akin to the rock n’ roll source of the band’s sound is the nostalgic feeling ‘Shake Like Jello’, complete with your usual riffs, backing harmonies and altogether a neat little fiery number. If you like a serving of post punk new wave mash on your menu then ‘Be Your Man’ is your song and a number full of the ingredients which flavoured Jason and the Scorchers cowpunk movement. For a little more left field indie sound, then discovering ‘C’mon Honey’ will reveal the more alternative side of Girls Guns and Glory, while in contrast the following track ‘Built for Speed’ is a more conventional soulful blues stomper, however both tracks are held together by a heavy and prominent beat. ‘One of These Days’ and album closer ‘It’s Your Choice’ are both representative of the record’s less intense moments and blend quite comfortably with the faster paced songs. As with most of the album, the guitar work shines brightly amongst the lyrical content and you feel that the band are in complete control of what they want to achieve. The unusually titled’ UUU’ completes this ten song collection and is another slightly off centre track with vibes lifted straight from the late 70s/early 80s new wave movement. Girls Guns and Glory have teamed up with fellow North East US artist Sarah Borges for a string of UK dates in October and music lovers who like the word ‘alt’ in the genre title will revel in the sounds radiating from GOOD LUCK. While this record has its release on Lonesome Day Records, you could envisage some fit with Loose or Clubhouse in the UK. Many people are aware of the quality from these labels and it is no small praise linking Girls Guns and Glory with them.